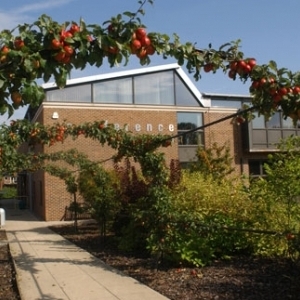 The ICT for Education national conference programme reaches Maidstone on 08 March 2013 at The Orchards Events Venue (formerly the East Malling Conference Centre). Siôn will open the conference with a presentation on the curriculum and the implications of the recently published draft National Curriculum. He will also consider issues of social media in education. In a special hands-on session we will examine the infrastructure requirements for a successful one-to-one or bring your own devices scheme and demonstrate some of the components including wireless networks, mobile device management, bring your own device security and multimedia resource delivery. Carol has taught for many years and has been involved in many technology initiatives from the first Research Machines 380Z to piloting the first RM Tablets in a number of schools. She can draw on a wealth of experience in driving technologies forward in education. At Invicta, Carol leads constant investigation of new technologies, evaluating not only what they can bring to teaching and learning, but also to the school community in the widest sense. Located approximately ten minutes from the M20. By train it is a fifteen minute walk from the station in East Malling village. Leave the motorway at Junction 4 – A228, turning South towards West Malling and Tonbridge. On the roundabout, follow signs for Tonbridge/West Malling (A228). At the traffic lights, take the left hand lane signposted Maidstone/West Malling (A20). Turn immediately right at the traffic lights onto the A20 east bound signposted, Maidstone, Larkfield and Ditton & East Malling. At the second set of lights (by Tesco Express petrol station, The Larkfield Priory Hotel and B&Q) turn right, signposted New Road, East Malling. Follow the road for approximately 1 mile past Bradbourne House. On your right you will pass a village hall and a park, opposite & just before you enter the village is the entrance to the East Malling Research Site in which The Conference Centre is situated. Leave Maidstone town centre on the A20 London Road and follow it for about five miles. After Ditton & Larkfield turn left at the traffic lights signposted East Malling, opposite the Larkfield Priory hotel and B&Q, thereafter, follow directions as above. Follow A26 towards Maidstone, then turn left on the A228 towards West Malling and Rochester. Follow the road for about three miles, then at the first set of lights, turn right for the A20, again towards Maidstone. At the next set of lights, turn right signposted Maidstone, Larkfield, Ditton & East Malling. Thereafter, follow directions as from M20 above.